As previously reported, Spike TV and the UFC will continue their giving ways this Holiday Season by offering a live “UFC 123 Prelims” show for their highly anticipated November 20th event. The edgy network announced Friday that the hour-long lead-in show will feature the welterweight bout between Matt Brown and Rory MacDonald, as well as the middleweight scrap with Mark Munoz and Aaron Simpson. 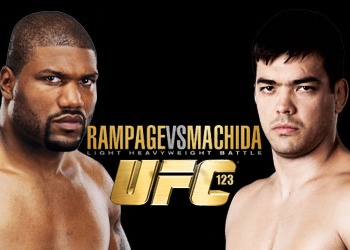 UFC 123 takes place inside the The Palace of Auburn Hills in Detroit, Michigan. The freebie special airs at 9PM ET/6PM PT and will serve as a teaser to the night’s pay-per-view broadcast. Spike TV is available in 98.6 million homes and is a division of MTV Networks. A unit of Viacom, MTV Networks is one of the world’s leading creators of programming and content across all media platforms.